Way over ten years ago when I got my first mobile phone, the ever popular Nokia 3210, I could go for almost a week without charging the thing (even with copius games of 'Snake' aka the best mobile phone game that ever existed). These days a bit of Instagram and a few tweets later and your freshly charged battery is on 62%- a bit annoying when you then have to rush out for the rest of the day. When you're out and about it's not exactly practical to walk up to the nearest socket and give your phone a cheeky charge, and so this little device from Everbuying.com is just the thing for the job. Small, relatively lightweight and fits right in your handbag, this portable mobile charger is enough to recharge your phone right up to 100%- twice. You can just charge up the Power Bank when you get home and pop it back into your bag and you're good to go for recharge topups all week, or to fully recharge it twice when you're not able to get to a socket. Hallelujah, someone has finally solved the crappy smartphone battery crisis. 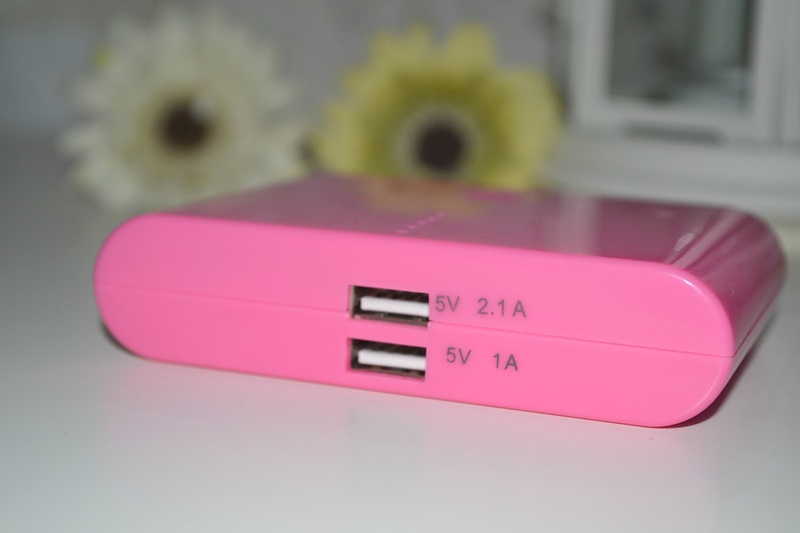 As well as being able to charge any phone with USB charging capabilities (basically all modern phones) the Power Bank can also charge things like music players, portable games machines and even ipads. I was pretty skeptical that it would charge my beast of an ipad 3 but it actually does, massive thumbs up for that. Because there are two USB sockets you're even able to charge two devices at the same time- although I've discovered that while it will charge two iphones, it won't charge my ipad while my phone is plugged in. Even so, pretty impressive and if I needed to charge both devices on the go I could still do it one at a time. This really is such a practical piece of kit I don't understand how more people aren't raving about them, it just gives you a certain peace of mind when you're far from home that you're not going to be left stranded with a flat battery. Whether you use your phone to take photos on nights out, or spend a lot of time sat on public transport using your phone to kill time something like this is perfect. If you notice that your battery is running down you can simply stick your phone on charge right from your handbag. I'd recommend this to anyone (they have lots of other colours and styles if pink isn't your thing!) and I know this is something I'll always have on me from now on. 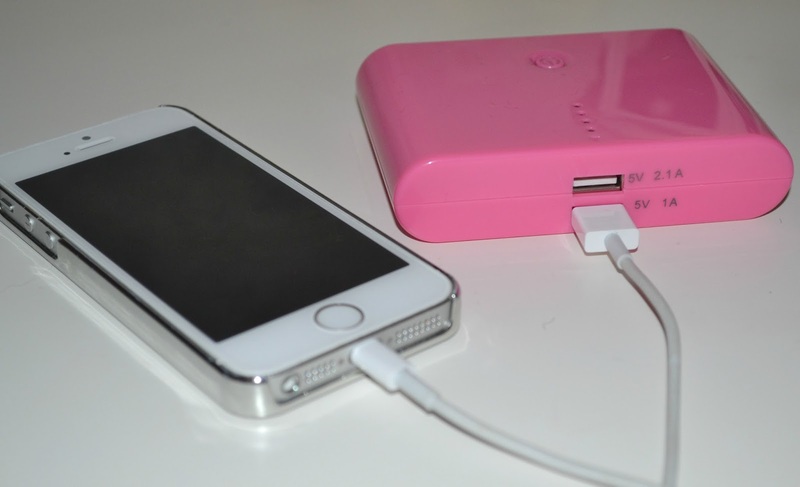 Have you ever tried a portable charger like this? I'm really interested in trying something like this, thanks for the review! How cute. Even phone chargers are sweet and girlie. Why do I not own this already?? I have to charge my phone twice a day sometimes; the battery life on iPhones is simply shocking. Need this in my life right now. I absolutely need one of these ohmygoodnesss. I need this! I need a battery replacement on my phone, which means that I can unplug my phone at 9am and the battery will be gone by 10am. And when it goes below 50% it can turn off at any point! I only need to then plug it in to turn it back on and its normally fine, but I neeeeeed this. This is definitely an essential! Love it! Thanks for sharing! How do you know if it's fully charged and ready to use? Also how do you charge it for use? I bought a similar one on ebay and it was awful, I couldn't charge it etc so now I'm worried about ordering another! Omg I NEED one of these in my life haha, problems of owning an iPhone ey! This is so handy, definitely need one!